Zinc deficiency is more common than previously thought. In fact, you may be experiencing some zinc deficiency symptoms yourself. Lack of zinc in the body should be managed and treated as soon as it is diagnosed in order to prevent damage to your usual bodily functions. You need to note that zinc is one of the most important minerals needed by the body. Though there is not a specific use of it (such as calcium for bones or iron for blood), it is known to facilitate in the production of hundreds of enzymes in the body, each of which is responsible for regulating bodily functions. Zinc is one of the most important trace elements needed by your cells. It helps your immune systems, aids in protein synthesis, cell reproduction and wound healing, and plays a major role in fertility and conception, among others. The importance of zinc can not be over-emphasized. Zinc is naturally present in various foods and it food sources such as meat, poultry, dairy products, beans, whole grains and nuts are rich in zinc. However, the body can only absorb about 30% of the zinc that we take in. 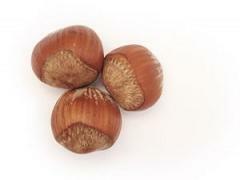 Because of this nature of zinc absorption , zinc deficiencies happen to many of us. Inadequate intake of zinc in the daily diet is the main reason why zinc deficiencies happen. It can also be promoted by increase in the losses of zinc from the body, such as when copper exposure is high, and when your body requirement for zinc increases for one reason or another (such as when lactating or pregnant). These conditions tend to occur more in the elderly, in mothers, and in young children. Gastrointestinal malabsorption can also lead to zinc deficiency symptoms. The most obvious treatment of someone not having enough zinc is increasing intake of foods rich in zinc content. It is best to take in oysters, nuts, peas, meat products, eggs, whole wheat grains, oats and pumpkin seeds. Also intake of vitamins such as vitamin A, E and B6, as well as minerals such as magnesium, phosphorus and calcium, can help in the absorption of zinc so it would be best to add these in your daily supplementation. Zinc is very important in maintaining many of our bodily processes. As such, we need to make sure that we take the right amount of zinc in order not to deter these normal functions. If you find yourself deficient and experiencing zinc deficiency symptoms, you should quickly resort to treatment options (with advice from your doctor, of course) in order to prevent the condition to worsen. Q. How common is zinc deficiency? A. Low levels of zinc is not a common problem for people who have enough to eat, but it can show up in a number of situations that are essentially "trying too hard" to control some aspect of diet or weight loss. Q. Why do i have a zinc deficiency? Zinc shortage can occur when people adopt high-fiber diets or macrobiotic diets, since plant fiber interferes with the absorption of zinc. Taking too much iron (more than 50 to 60 milligrams a day) can interfere with absorption of zinc. Taking too much calcium carbonate or calcium phosphate (more than 1,000 mg a day) can interfere with absorption of zinc, but taking calcium citrate malate supplements will not interfere with zinc. Taking too much folic acid (more than 1000 micrograms a day) can interfere with zinc. Lap band or gastric bypass surgery can interfere with zinc absorption. Zinc deficiency can also occur to people who have chronic intestinal inflammation or who suffer chronic diarrhea, people who suffer anorexia, and in pregnant women, especially pregnant teens. Zinc deficiencies occur in people who have sickle cell disease. Q. What are the symptoms of low zinc levels? A. Symptoms of severe lack of zinc can be very distressing. Below are some signs and symptoms of zinc deficiency. It's possible for hair to fall out in clumps. Men and women become infertile, and there can be impaired taste and smell, night blindness, and severe diarrhea. Milder insufficient zinc results in increased susceptibility to infections in children and older adults, especially diarrhea in children and pneumonia in the elderly. Q. What to do if you have a zinc deficiency? A. The good thing about low zinc levels is that it is very easy to remedy. Almost as soon as you start taking supplemental zinc, deficiency symptoms will go away. Q. How much zinc should I take? Newborns to infants six months of age need 2 milligrams per day. Babies aged six months to a three years need 3 milligrams per day. Children aged four to eight years need 5 milligrams per day. Children aged nine to thirteen need 8 milligrams per day. After the age of thirteen, females need 9 milligrams per day and males need 11 milligrams per day, although women need at least 14 milligrams per day during pregnancy and nursing. Q. How much zinc intake is too much? A. When it comes to zinc, more is not necessarily better. A dose of 15 milligrams per day, however, is not too much for children over the age of three years, and a dose of 30 milligrams per day is not too much for adults. 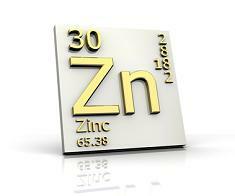 The best zinc supplements combine both zinc and copper to ensure nutritional balance.